Industrial & manufacturing companies are plenty in a given niche. They all are your fierce competitors. To grab a significant market share, therefore, your new business must make heads turn to your products. While you will be planning a marketing campaign at a later stage, start with choosing a perfect company name today that defines your business precisely for potential customers. The field of industrial and manufacturing covers all the products that you have or heard about. This also implies that there are thousands of manufacturing units in a city. It also means that the industry and manufacturing activity can be categorized in numerous sects and sub-sects. In other words, there’s a fierce competition in any given market, especially for the new manufacturing company. Unless your new unit is unique in many ways, the chances of survival and growth will be very low. As your manufacturing unit grows up, it will plan to enter in new markets. But for that, you will have to plan at a later stage. First, think of taking those initial steps when your business is yet to take shape. You will probably start by giving a name to your enterprise. In fact, naming a company is one of the first crucial steps to take as it has the potential to make or break your business. But naming a company is not that easy. Contrary to the saying that what is in the name, there is actually a lot in it as far as a business is concerned. This is because customers know a company by its name. Therefore, it’s imperative for entrepreneurs to pick a marketing-friendly business name. If you take a closure look at global manufacturing company names, you find that they all are unique and simple. Take for examples the names such as General Motors, BEA Systems, ChemChina, Pfizer, Rolls-Royce, Tesla, General Electric, Foxconn, and Airbus. These are simple names, but people associate great businesses with them. You should come out with one such business name that sounds great but is easy-to-pronounce. But the naming process requires you to have some patience as it will take time. 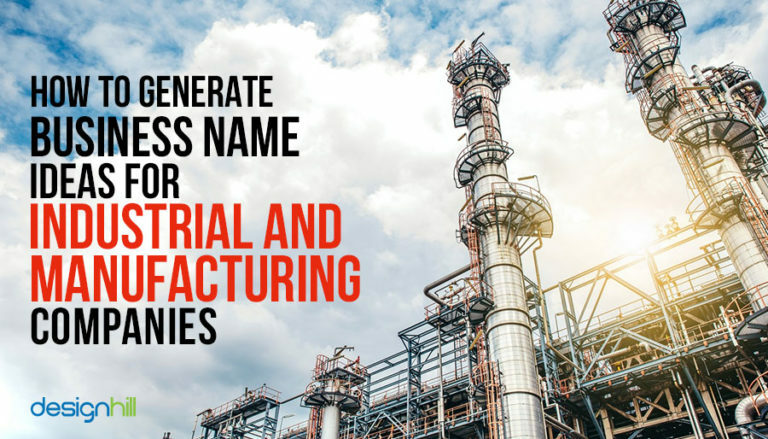 Here is a list of Industrial Manufacturing Business Name Ideas for your new startup. Make it clear that the name you pick is entirely different from your competitors’ business names. That should compel you to first take a look at other company names in your niche of the industry. Make a list of those names to ensure that your company name stands out. So, first, avoid the names that sound similar to other company names already in the market. Try to come up with a unique name that people can easily pronounce and remember. But being original does not mean a scary and weird name. Just keep it simple. To get an original, simple, and memorable name, explore some keywords using free keyword tools available on the web. Just type a keyword relevant to your industry and business in the search field, and you get many name ideas. You can also consult some books and a dictionary. Another trick is to play with the words. Mix and match two to three words to have one unique name. For example, Sole Man is the company that does shoe repairing and Spoon Me is a frozen yogurt brand. An original and simple name matters from the design point of view as well. Remember that you will need a lot of marketing material and visual identities such as logos. So, a unique name will also look great on your manufacturing company logo design. A complicated name will only confuse your potential customers. Looking for an industrial logo design? Another critical aspect to note here is that you should avoid using initial as your company name. Since your company is a new entity, people may not interpret what exactly you deal in just by its initials. Similarly, avoid using acronyms also as most of them do not make much sense to your potential customers. So, steer clear of them. Moreover, make sure that your industrial logo design speaks well for what your company manufactures. If initials are used in the logo, that may not be able to communicate your brand message to the consumers. Picking a too specific name is also not advisable. If the name of the products that you’ll be manufacturing appear as your company name, then it won’t sound good. People just do not like such names as these are speaking about business. 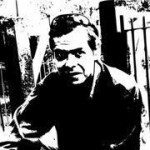 So, avoid ultra-specific names that are directly connected to a specific product or service. A disadvantage of such names is that you will be changing them later when your business grows with new products added to it. Also, your graphic designer, who is responsible for creating your logo, business cards, websites, etc, will also get a clue from the name. So, a name that is too obvious and specific also will not look good on your design items. As your manufacturing unite grows and adds more products to its fold, you will be reaching out to many new markets. This will result in covering a new set of customers under your marketing plans. Will the present name you picked up still be representing your business? You should precisely answer that question before selecting a name. For example, if your company makes women’s shoes and picks a name related to these shoes, will such name still be appropriate when you start making male shoes? No, not at all! And, most probably you’ll change the name. Such a name will also be a hurdle in building your company’s brand identity. So, consider future growth of your business as well. Make sure that before finally implementing the name, you have tested it in different mediums. There are many online and offline platform where a name gets written in many ways. So, put the name in your different graphic designs such as business cards and logos. Draft it in an email signature. See how it looks on a big banner or a small surface. In the modern digital world, industrial and manufacturing companies target online audience. They want people to find their business easily on Google and other major search engines. Just as a potential customer types a keyword relevant to your business, your company must come up at the top of the search results. That way, your company will be instantly visible and clickable for the customers. That can happen when your company name is SEO-friendly. This means that there should be keywords related to your industry and manufacturing in your company name. So, the name not only should look great on your manufacturing logo but it helps in search engine optimization of your business. Such names are also useful and result-oriented when you make a marketing strategy. A second opinion is always better to take in any field of business. Even if your team has pinpointed a name and you also like it, take the second opinion. It can come from anyone such as your friends, social circle, neighbors, your followers on social media, and so on. If you come across a name that sounds better due to feedback, think about it. Even if your logo designer is in the midst of designing the logo, you can tell that someone has suggested a better name. So, at whichever stage of the naming process you are in, welcome all suggestions coming from even some unexpected sources. Now that you have picked the name, find out if it is available as a domain name. A domain name is essential for modern businesses to take their products or services to online customers. You will build a website for your manufacturing company with the help of graphic design services of a professional. This should prompt you to have your company name as a domain of your business. It serves as your online address of the company and its business. There are sites such as GoDaddy where you can check the availability of the domain name you wish to have for your company. In case the domain is already booked, contact the owner and see if you can buy it. Moreover, see if adding some a word such as ‘get’, ‘app’ etc., can make the domain name available. Once your selected company name is available as a domain, do not rest there. In this competitive world, many other companies are also looking for unique names and domain. Any delay in registering the name will result in someone grabbing it. Then, you will be starting the naming process all of again. So, register your manufacturing company’s name right away with the federal or state authorities, whichever is applicable. Another reason for registering the name is that you need it as your trademark. You will create a logo as your visual identity of a business. The logo will have your company name, and together it will make your trademark. To register the name and logo for trademark, visit the U.S site tmsearch.uspto.gov. In Canada, visit ic.gc.ca, and in the UK, the site is gov.uk. So, consider these essential tips to have a market-friendly name for your manufacturing company. The naming process will take its own time to complete. Sometimes, a name strikes your mind, and you like it so much that you finalize it immediately. But most of the times, you have to brainstorm. After naming your business, you will need plenty of design items such as business cards, logo, websites, brochures, etc. For these designs, your startup can depend on Designhill, a prominent marketplace that has hundreds of designers in its fold. Many of them will create a design as per your brief so that you have many design ideas to choose from. Industrial and manufacturing companies should be named appropriately so that the audience can know about the business from the name itself. So, know your competitors’ business names, your mission statement and message, brainstorm, and get feedback to have a name that stands out.